Situated in Northern Virginia, active adult communities in Fredericksburg offer a small-town atmosphere near historic sites, fine dining, and charming boutiques. Fredericksburg 55+ communities range from large 1,100-home neighborhoods like Celebrate to smaller 700-home communities like Virginia Heritage at Lee s Parke and Falls Run. Whether you're looking for a single-family home or a lock and leave low-maintenance townhome, they can be found on a new construction or resale basis. Some of the nation s most popular active adult homebuilders like Del Webb, D.R. Horton, and Lennar have listened to the demands of today s retirees and developed wonderful communities for active adults in the Fredericksburg area. These age-restricted neighborhoods of Fredericksburg are complete with amenity-filled clubhouses to keep residents both physically and socially active throughout the year. They re also complete with outdoor amenities including sports courts, miles of walking and biking trails, and swimming pools. Both retirees and working active adults enjoy living in low-maintenance homes within a community that has a vibrant social scene. Active adult communities in Fredericksburg, VA are about 49 miles south of Washington D.C. and 58 miles north of Richmond. In terms of geography, it has an area of 10.5 square miles and is bounded by the Rappahannock River on the north and east, and Spotsylvania County on the south. The average daytime temperature is slightly higher than that of Washington D.C. because it s farther south and more inland. Fredericksburg, like most of the East Coast, has a four-season climate with cool winters and hot summers. Steeped in history that includes many Revolutionary and Civil War battles, the small town of Fredericksburg is located near dozens of museums, historic landmarks, and battlefields. Just a few of Fredericksburg s museums include the White Oak Civil War Museum, the Hugh Mercer Apothecary Shop, and the Marine Corps Heritage Center. You can also tour several historic homes like George Washington s Boyhood Home at Ferry Farm and Kenmore, which is billed as one of the most elegant colonial mansions in America. While many of the area s historic sites are open year-round, special events are organized throughout the year. Once such event, Bricks and Boards in the Burg is a fascinating walking tour that highlights the town s architectural beauty. Other special events include juried art shows, stage plays, historical reenactments, and outdoor music concerts. If history is not your primary interest, active retirement communities in Fredericksburg are located nearby many other attractions as well. The area is home to several 18-hole championship golf courses including the Gauntlet Golf Club and Lee s Hill Golfer s Club. Those who appreciate fine wine and spirits will enjoy visiting Blue and Gray Brewing Company and the A. Smith Bowman Distillery. There are also several unique shops, fine restaurants, and performing arts theaters. The median selling price of homes in Fredericksburg was $270,000 in 2013. 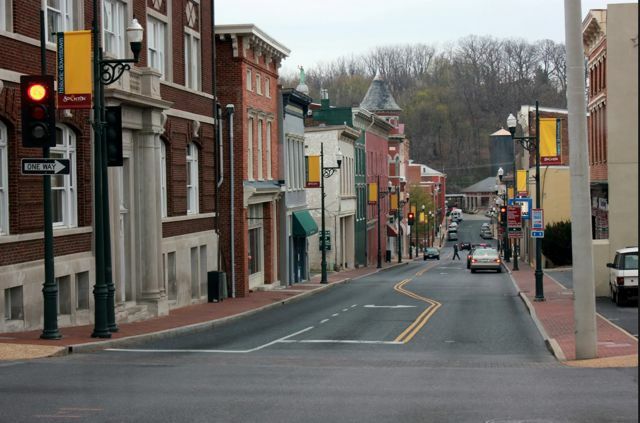 While Virginia, as a state, has a somewhat lower cost of living than the national average, the city of Fredericksburg s cost of living is slightly higher than the national average. The state of Virginia collects a personal income tax, sales tax, and food tax. Social Security benefits are not taxed while property taxes are collected at the local level. Active adult communities in Fredericksburg are located near six hospitals. Two of which have be recognized as high performing, Mary Washington Hospital and Sentara Northern Virginia Medical Center. Other area healthcare centers include Healthsound Rehabilitation Hospital of Fredericksburg, Snowden at Fredericksburg, Spotsylvania Regional Medical Center, and Stafford Hospital.